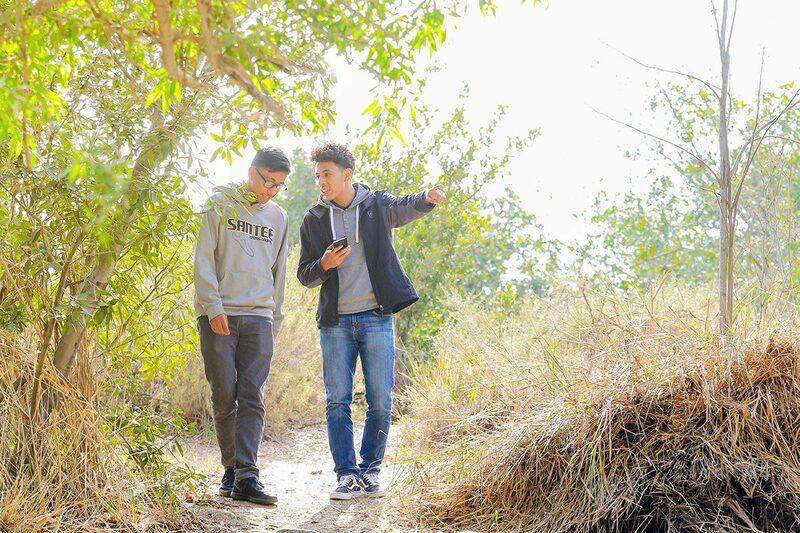 Half of South Los Angeles’ parks scored a failing grade, and not a single one received an A, according to a new assessment performed by local youth as part of National Health Foundation’s participation in the BUILD Health LA Initiative to engage residents in improving their health. NHF trained high school students from Thomas Jefferson High School and Santee Education Complex to use research, critical thinking and problem-solving skills to help their communities maintain healthier lifestyles, starting with creating safe outdoor spaces that encourage more physical activity. Studies have shown that daily access to nature and green spaces can improve a community’s mental and physical health by as much as 40 percent. So, ensuring residents have access to parks, outdoor spaces and recreation opportunities is critical to addressing skyrocketing obesity rates that have led to a rise in chronic diseases. 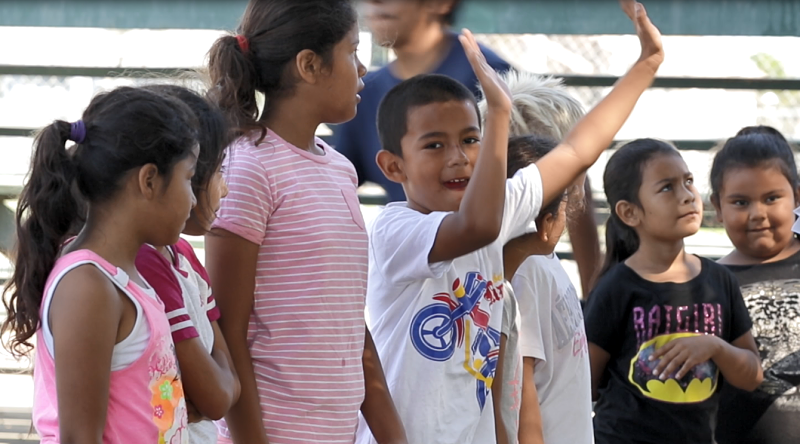 But the benefits of parks are not fairly distributed across neighborhoods, as students soon discovered. The national guideline on sufficient distribution of parkland ranges from 6 acres to 19 acres per 1,000 of the population; however, in Los Angeles, areas that had a population of 75% or more Latinos, including Historic South Central Los Angeles, there was 0.6 acres of parkland available per 1,000 residents. Areas that had the same percentage or more African Americans had 1.7 acres of parkland per 1,000 residents, and areas that had 75% or more non-Hispanic whites had 31.8 acres of parkland per 1,000 residents, illustrating that the acreage of parkland available to Latinos and African Americans falls significantly below the national average. Students conducted a comprehensive park assessment on 14 local parks in Historic South Central Los Angeles, evaluating such criteria as points of entry, bike routes, restrooms, trash cans, lighting, excessive litter, vacant buildings and poorly maintained properties, as well as the condition of playgrounds, sports fields, athletic courts, swimming pools and open spaces, and analyzed the data. Letter grades were then assigned to assessment scores. Park facilities that are consistently kept up, aesthetically appealing and safe are associated with increased public use and physical activity. 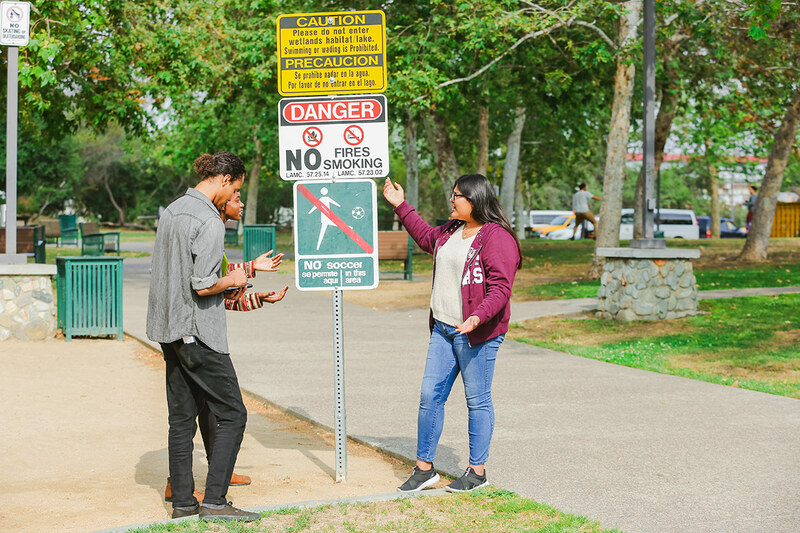 Not only is there an inadequate number of parks in South LA, the student-led assessments determined the parks that do exist are often not maintained, and many are plagued by graffiti, vandalism and gangs, contributing to the belief they are not safe. To compare their results and better understand their significance, students also assessed 15 parks in affluent, predominantly white Santa Monica. In contrast, the majority of Santa Monica parks are well-maintained, family-friendly destinations. Eight parks received an A or B letter grade, while only four failed. Students presented their findings to local park directors and neighborhood councils to raise awareness of park conditions among community members and advocate for change. They recommended installing murals to decrease graffiti; increasing security by using unarmed guards and installing cameras; adding more space by opening up school areas for public use; and enhancing park pride through events, clean up and participation in park programs. Cotangco said park directors were surprised about the low scores, but were impressed with the student research and were receptive to feedback and opportunities to continue to work with youth to improve the scores. 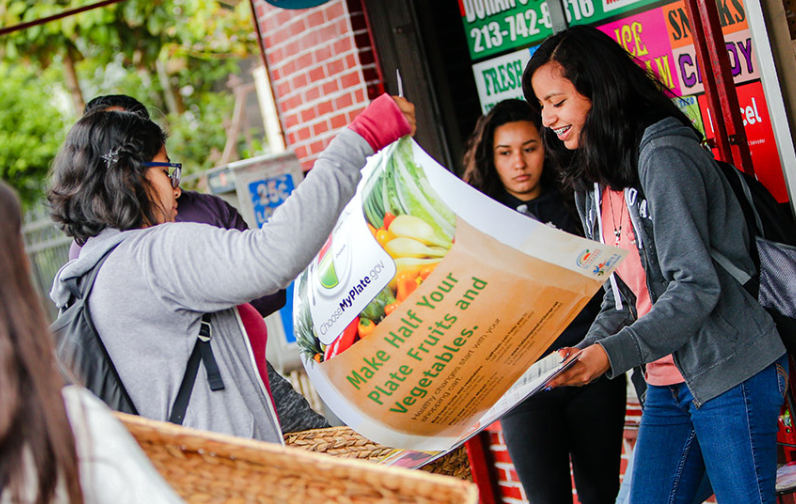 In fact, students worked with the director of South Park to coordinate the first South Los Angeles Park Pride Day in July to endorse parks as safe green spaces that positively contribute to active lifestyles and overall well-being. The students deliberately chose the lowest-scoring park from their assessments to host the community event, which brought together about 80 children and families who played games for prizes and new backpacks filled with school supplies. Currently, Measure A and Proposition 68 present county-wide and statewide (respectively) opportunities to allocate funding to different areas based on need. In October, the County Board of Supervisors will make the final vote on how competitive grant funds will be allocated.